Your daughter has a head full of thick, very curly hair and you're at your wit's end dealing with the tender-headed issues. When she sees you coming with the comb, she looks like she's about to cry. Hair grooming shouldn't be a painful process, for her or for you! Before you reach for that home kiddie perm kit, hold on. 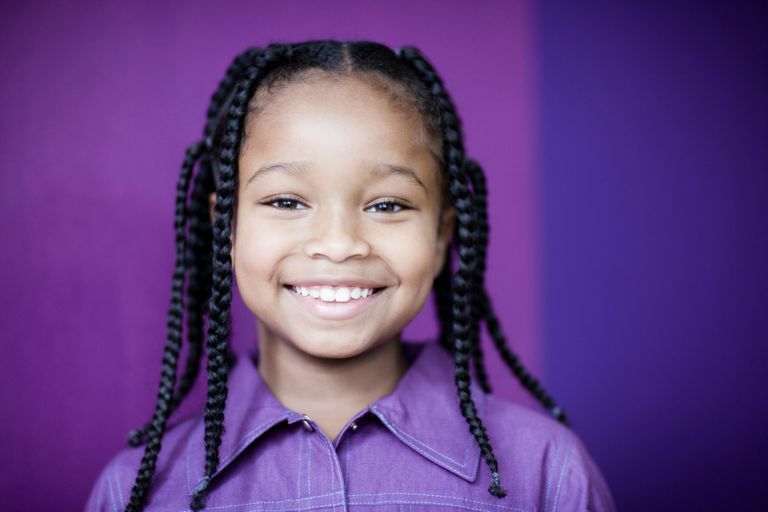 Is your daughter even old enough to get her hair relaxed? Just because you know someone who relaxed a three-year-old's hair doesn't make it right. Relaxers are better left to children over the age of twelve. Until that time, if you still think relaxing is necessary, you should find other, non-chemical ways of making your child's hair manageable for you. 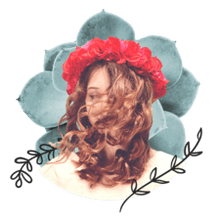 Although straightening in any form really isn't necessary, if you want to straighten hair in a way that won't damage a still-developing scalp and hair follicles, try these methods that can "relax the hair" with absolutely no chemicals involved. You can style hair in a way that will loosen its tight texture pattern. After shampooing and conditioning, apply natural oils, a moisturizer and/or a clear, light gel. Then braid or twist your child's hair. The number of plaits or twists is up to you. Small braids and twists will leave hair more tightly curled than larger braided or twisted sections. Let the hair dry. Once dry, unravel the plaits or twists. The hair's texture will be slightly loosened and relaxed, while still retaining a good amount of volume. Another way you can relax some of the tight curls in hair is with a blow dryer. You can use one with a plastic comb attachment, but you'll need to be gentle so that it doesn't tug so much on the child's hair. If you don't have an attachment, a wide-tooth comb or plastic bristle brush will do. Again, start with freshly shampooed and conditioned hair. After applying natural oils or a moisturizing product of your choice, the hair should be parted into four to six sections, depending on thickness. Beginning at the bottom of the hair, direct low to medium heat on one section at a time as you comb or brush the section down. Work your way up the section until you reach the scalp. You're not aiming for complete straightness; you're simply relaxing the texture. As you gently work through a section, loosely twist it to keep it out of the way and maintain the stretch. If you don't have the time or skills to braid or twist, and applying even low heat isn't for you, banding is another option. You can begin with freshly cleansed hair, but it's not necessary, and you can band hair that's dry or slightly damp (banding very wet hair may result in a long drying time). You'll need a large number of metal-free elastic bands. Part the hair into four to eight sections, or more. Beginning close to the scalp, wrap an elastic band at the base of a section and in even increments, continue to add bands to the section. Do this all the way to the end, and repeat on each section. Leave bands in overnight. When you remove them in the morning, the hair will have a gentle stretch to it. You may find it easier to comb through hair whose tight curls have been relaxed somewhat. Using wide-tooth combs is still essential to avoid pulling on the hair and scalp. By holding off on chemical treatments as long as possible, you're creating a healthier environment for your little one's hair, which will help it thrive.